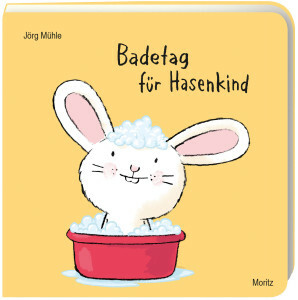 Do you know a child that enjoys having its hair washed? Honey Bunny also needs to be talked into it, but then it turns out to be not quite so bad after all. When the hair dryer is broken, each and every reader is allowed to blow. Harder! Now putting the lotion on and then bath day is over with. Honey Bunny is clean. Spick and span! 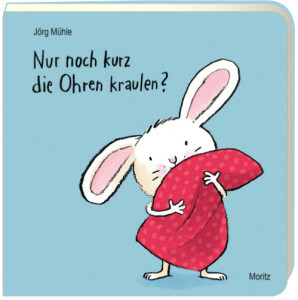 Following Tickle My Ears, Jörg Mühle has created another board book that invites children to turn on the shower, cover the eyes and dabbing off the nose. Fun for everyone! Once again, Honey Bunny charms everyone who takes a look: children, parents, bunnies.